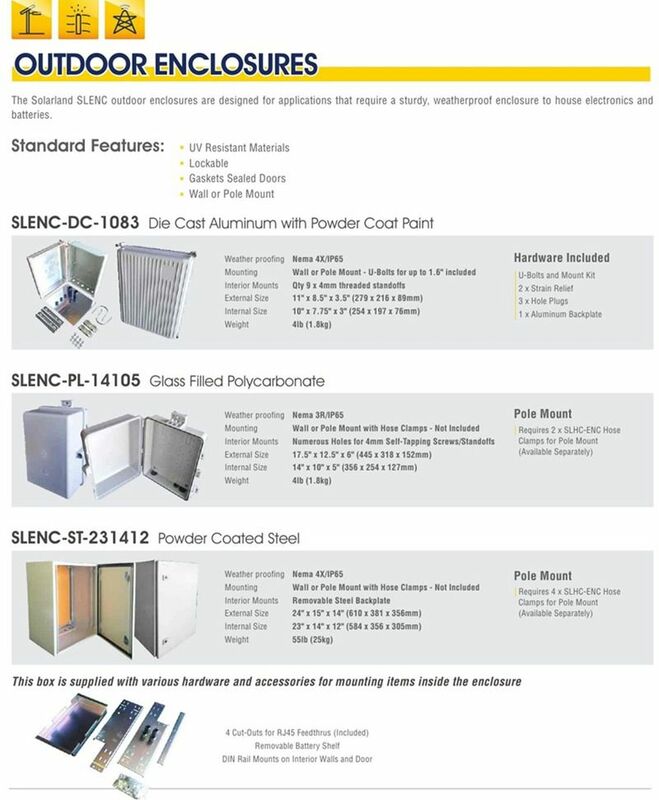 Solarland ENC series outdoor enclosures are designed for remote power applications requiring a sturdy, weatherproof enclosure to house electronics. 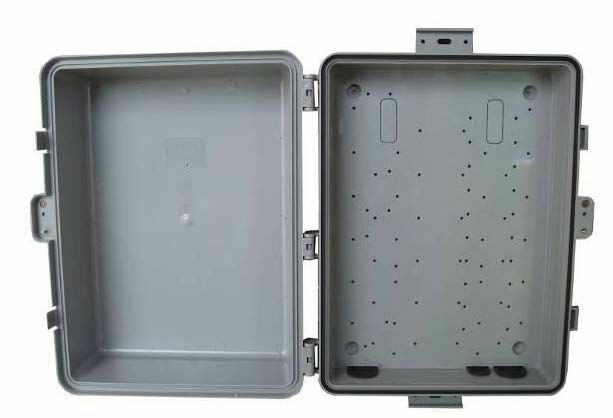 This enclosure includes gasket seals made from UV-resistant materials for a long service life. 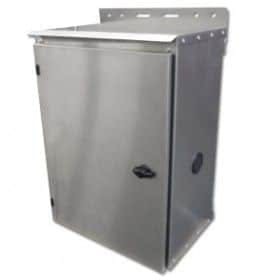 This enclosure can be wall-mounted or attached to a post with the optional hose clamp kit. Nema 3R construction with a lockable door in a polycarbonate enclosure make this an excellent option for safely and securely mounting power equipment at a remote site.